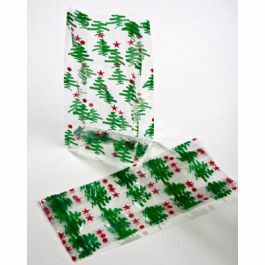 Crystal Clear Printed Gusset Bag 1.2 Mil acrylic coated BOPP film is heat sealable and FDA approved for food contact. 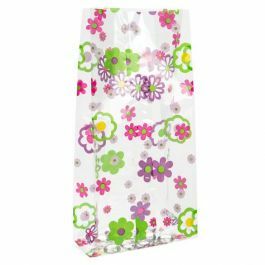 More Stars Silver Printed Gusset Bag are made of 1.2 Mil acrylic coated BOPP film. These are heat sealable bags and FDA approved for food contact. The printed patterns are ideal for special occasions such as holidays or themed events.